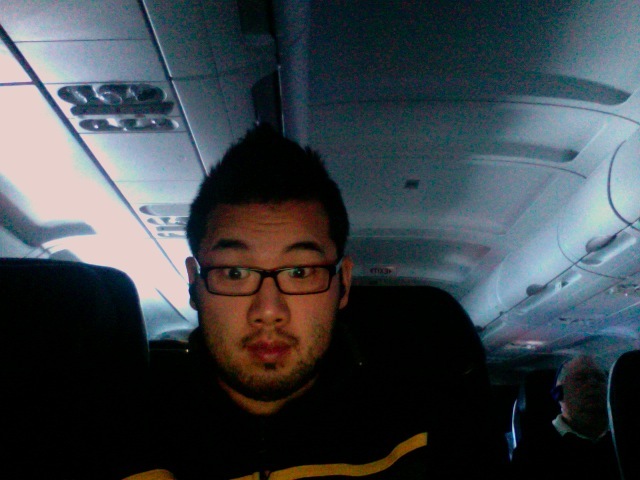 Come chat with me on Ustream on my Virgin America flight and watch people walk by! I’ll be turning on my camera every hour or so and I’ll be chatting live from 35,000 feet. I’ll also be IMing with Virgin America’s IFE engineer James Weatherson around 6PM PT today and I’ll post a transcript. He’s in charge of the Red entertainment system on-board all VA flights and we’ll find out what we can expect to see from the in-flight entertainment system this year. If you have any questions you’d like me to ask him, feel free to leave a comment. Update: If you feel like chatting on AIM then hit me up at crunchtips, kids. Update 2: James wasn’t able to join us, so we’re going off the air. We’ll update if he manages to get online. Otherwise, we’ll have an in-person interview later this week.